2009 December Archive « .Evolving Music.
. Closed Tags: Adrian & the Mysterious D, cool holiday music mix, free download, free holiday downloads, free holiday mash ups, free holiday music, free holiday music mix, holiday mash ups, holiday mix, holiday music mix, mash-ups. Spice up your holiday party with something different. ENJOY the following FREE holiday mash up downloads from Adrian & the Mysterious D by clicking the bootie skull and crossbones below. MobBase Round-Up: 34 iPhone Apps Now Live!
. Closed Tags: band apps, Everclear, Greg Laswell, IODA, iPhone Apps, iTunes, mixmatchmusic, MobBase, Zion I.
It’s been a busy few days for MixMatchMusic, as 34 MobBase iPhone apps are now live in iTunes! The apps turned out rather pretty, and they include a lot of great content that covers a wide variety of genres and styles. More importantly, artists will be updating their apps using the MobBase dashboard, so things will be kept super fresh! So what are you waiting for? Visit iTunes or check out the list below to download your favorite artists’ MobBase app!
. 2 Comments Tags: Brian Zisk, Google Music, Heatwave Interactive, iConcertCal, Music APIs, MusicTech, SanFran MusicSummit, SFMusicTech. SF MusicTech has come a long way since its inception less than two years ago. It’s kind of a big deal now – even Google was there this time. The media has become increasingly interested in the discussions happening at SFMT since they happen, you know, at the bleeding edge of music/tech. Naturally, SFMT founder – the ineffable Brian Zisk – is more than happy to chat with the cameras. You can truly see the passion in his eyes and hear it in his voice. This guy is the personification of music/tech. If you’re new to Evolving Music or SFMT you might want to read our reviews of the previous four summits below for some context. Google’s involvement this time around could be the harbinger of a new chapter in the music/tech saga. With their recent foray into music search, Google has presented the confused and conflicted music industry with a powerful new ally. While their new service is definitely still bumbling about in the dirty diapers of its infancy, it’s clear that Google has grand plans for it. At the summit, they emphasized a “search-driven, partner-delivered” strategy. Another theme, especially among the geekier of the attendees, was that APIs can set you free. Not only do APIs enable the ever-increasing plethora of clever mashups out there (e.g. JamBase + iTunes music library = iConcertCal) to be born, but ultimately they help blur the line between content and context and serve up what the end-user has (knowingly or unknowingly) wanted all along: cool ways to experience music. The always cool Pandora admitted to working on what will hopefully be built-in Pandora capability in cars. Plenty of auto makers already offer built-in iPod adaptors. Why not built-in Pandora? In addition to Google, a host of other cool sponsors were to thank for SFMT #5. Of note: Heatwave Interactive, which is seeking to “fundamentally revolutionize the entertainment landscape by creating innovative cross-media properties for gaming, film, music and television,” the web domain extension dotMusic, which is exactly what it sounds like, and Collecta, which offers real-time search through popular blogs and social media. Once again, the SanFran MusicTech Summit brought together the thought leaders of music, tech, and that living breathing intersection of the two for hours of heated debate, deal-making, and good vibing. One can only wonder what cool new ideas and companies will be born as a result of conversations had and relationships built that day.
. 39 Comments Tags: Free downloads, Free Music, Holiday Gifts, Slightly Stoopid. 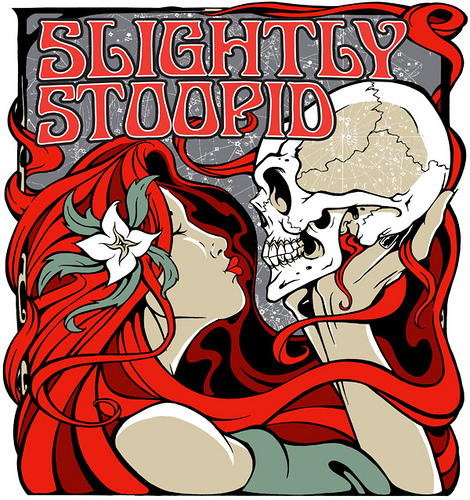 Slightly Stoopid is giving away 7 of their classic joints this holidaze season. Included is the Stoned Saga, a four-track journey from The Longest Barrel Ride released as a one-track epic. Get involved and don’t forget to pass this joint along!! FYI… this FREE download for the holidaze is only available till 11:59pm on Christmas Eve (PST) so get to downloading. On a personal note, I just downloaded and am already on joint #5. It’s melting my brain, in a good way.
. 1 Comment Tags: Blue Microphones, Eyeball HD Webcam, Inspired Flight, mixmatchmusic, OpenOptics, Remix Contests, Remix Wizard, Stems. Inspired Flight. This band has a sound that is hard to describe. And yet, looking at the artists they list as influences on their MySpace page, their sound just makes sense. They’ve really learned how to incorporate some of the subtle and intangible things that make those musicians great musicians. Their bio says it well. “Rooted in hip-hop and dipping into elements of indie rock, downtempo, dub and dance, Inspired Flight is taking your pre-conceived notion of what a band and DJ are and merging them into something new and quite hypnotizing.” Though their sound clearly incorporates a myriad of different elements, including vocals, keyboards, other exotic instruments, and laptops, this band is made up of just two people – master turntablist, OpenOptics, and accomplished guitarist/songwriter, Chavez. To learn a little more about their respective musical backgrounds and inspiration, click here. 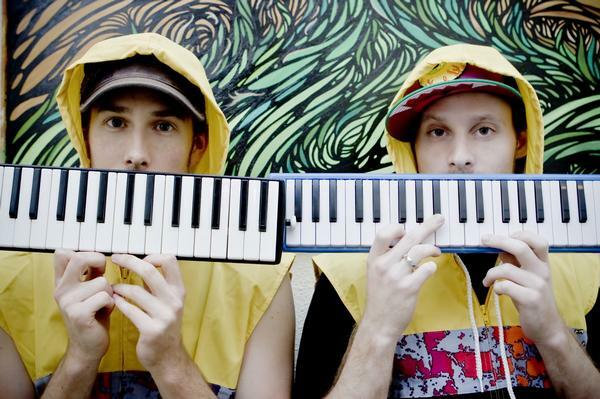 The duo wants you to join their remix contest, powered by MixMatchMusic. Go on. Have a long hard listen to their song, “It Always Takes,” feel it, breath it, internalize it. (This, by the way, is easy to do because the song is beautiful. It has a haunting melody and something generally mesmerizing about it.) Then, take it apart and re-envision it as your own. Add, subtract, multiply, magnify, simplify, or otherwise modify the song to your liking. To do so, you can download the stems (for free) and use your own software to remix them, OR if you want to keep things even simpler, click on the MixMaker button and make your mix online. Most importantly, UPLOAD your remix so that you can get credit for your masterpiece! Other people can listen to it, vote on it and share it. This remix contest runs until January 31st, 2010 and Inspired Flight will choose their favorite submission. The lucky winner will be the featured bonus track on their album, coming in March 2010. Nice! Oh ya, and you’ll also get a limited edition T-shirt and poster, as well as an Eyeball HD Webcam from Blue Microphones. Read the complete contest rules here.